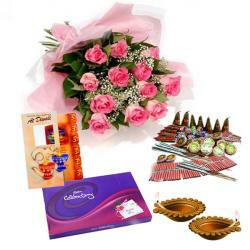 Product Consist : Diwali Card, 1/2 Kg Black Forest Cake along with Bouquet of 12 Seasonal Flowers with Lots of Green fillers. The Flowers is a great gift for any festival or occasion. On this Diwali Send this florals with a Peace and Prosperity wishes for a good fortune and positive outcomes to your special recipient. 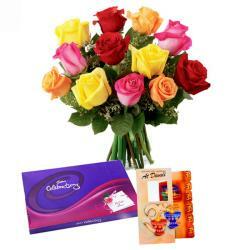 This beautiful flowers bouquet will make an excellent look of the home or office at this festive. It is the best to let these soft color flowers do the talking while you present these as a gift to anyone special to you. This is a gift that is simple, traditional and the most impactful. Have your dear ones taken by surprise with beautiful flowers like roses gerberas and carnations that you get attractively tied in a bouquet. 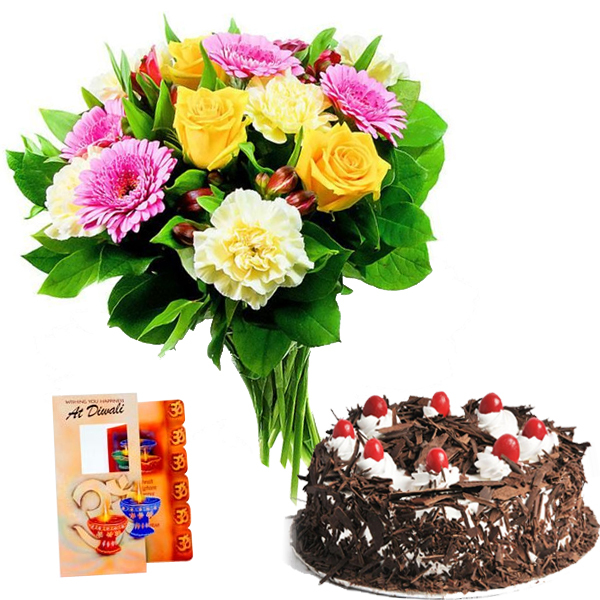 Along with these flowers we have black forest cake also put together diwali greeting card to go perfect as a memorable gift this Diwali. Create memories that never fade with this hamper. 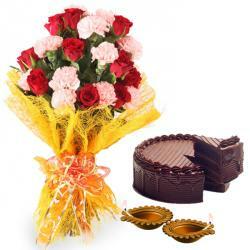 Product details : Diwali Card, 1/2 Kg Black Forest Cake along with Bouquet of 12 Seasonal Flowers with Lots of Green fillers.